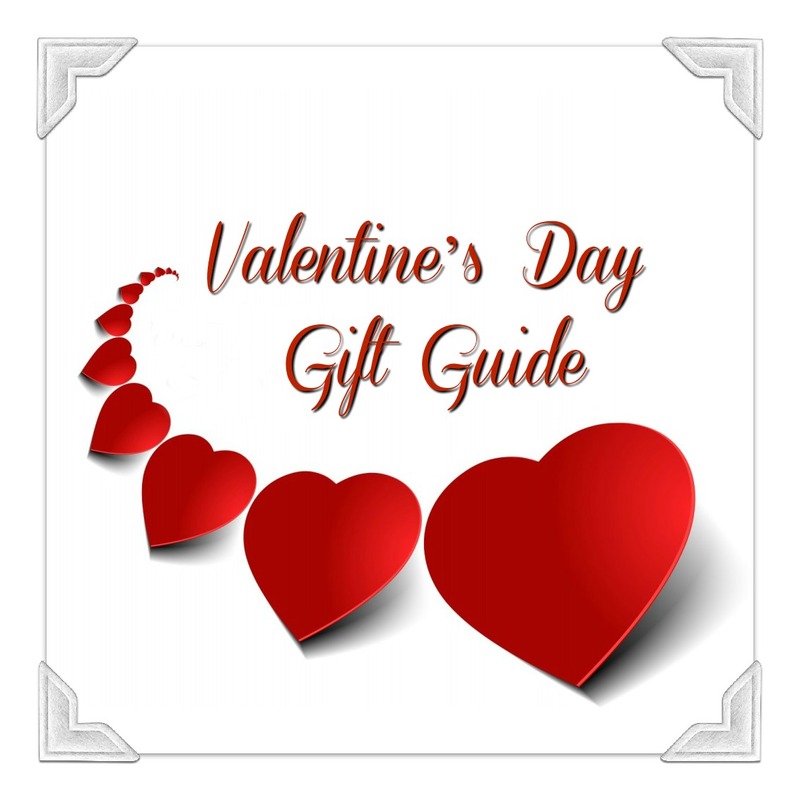 Valentine’s Day 2018 is a little over a week away, but no one should despair because we’ve got you covered with Team TME’s Gift Guide. 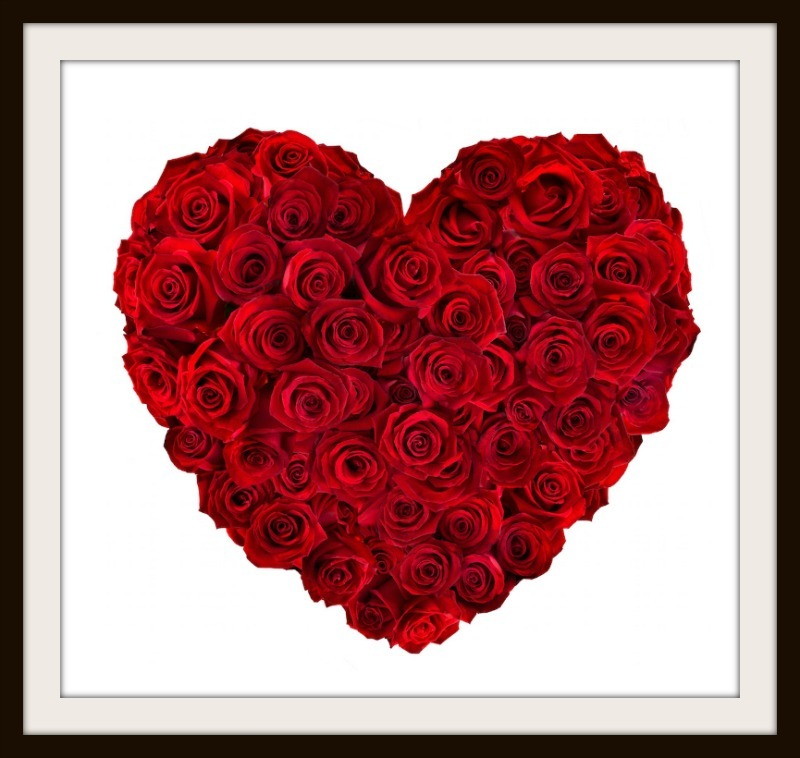 Valentine’s Day isn't just about celebrating your partner -- it’s about celebrating all of the love in your life! 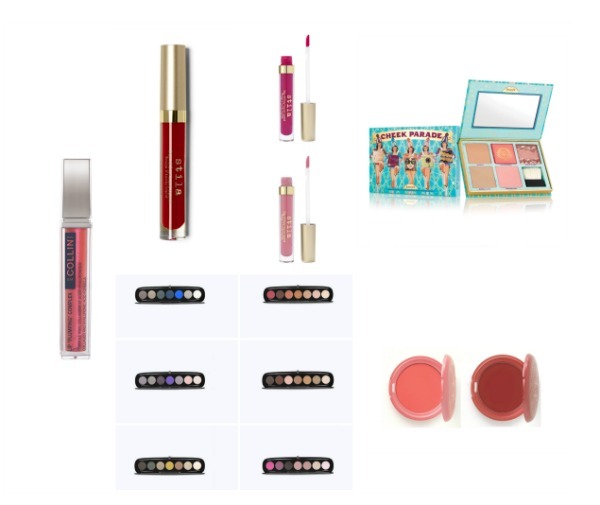 Whether it’s a special gift for your significant other or your precious BFF (Galentine’s Day is February 13th), The Makeup Examiner has found gifts that they will love! Baxter of California Starter Kits ($50 - $60) Shave Starter Kit, Shower Starter Kit, Skin Starter Kit, or Travel Starter Kit - Whatever your guy's style, you'll find something perfect here. Bespoke Post Box ($45 per month): Give the guy in your life a curated “box of amazing”. 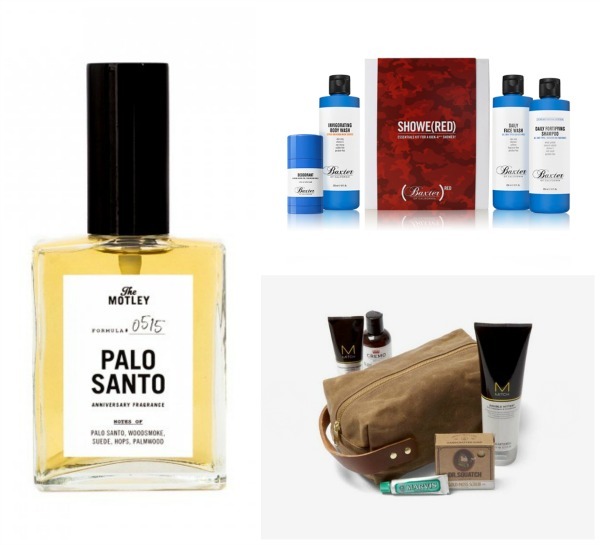 Each themed monthly box can include anything from men's lifestyle gear to tools and ties to cigars and more. Palo Santo Limited-Edition Cologne ($110 - 2 fl oz): With deep smoky woodnotes, a hint of suede and sweetness this fragrance is bold and intriguing. Palo Santo evokes the spirit of Los Angeles and Palo Santo is available in a travel size. VOLOOM ($130 - Red Hot Galentine’s Gift): is a volumizing iron that takes seconds to work and provides major, long-lasting volume! We absolutely fell in love with this tiny wonder! It is also the perfect choice for finer, thinner or shorter hair. With ceramic-coated plates and a ¾ inch design, this styler creates little pockets of volume close to the roots without leaving a clear texture in the hair, for natural-looking lift. ghd Dry & Style Nocturne Gift Set ($349): To say that ghd stylers are the best is basically a major understatement. 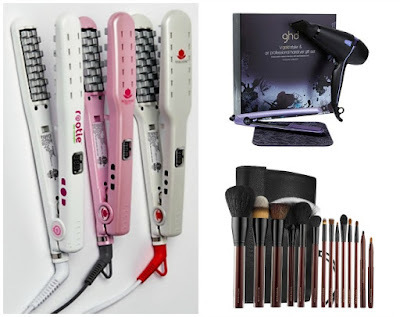 Our editor purchased a ghd flat iron 11 years ago and it still works very, very well! As for this gorg set, it sent our hearts racing! This set features the award-winning ghd gold professional 1" styler and the ghd air professional 1600w hairdryer, plus a bonus luxe heat mat. Kevyn Aucoin The Essential Brush Collection ($650): Designed to Kevyn Aucoin's exact specifications, this brush collection is the ultimate in makeup application and brings out the artist in everyone! The complete set of 14 professional quality, handcrafted brushes is perfect to create a complete face. The collection is packaged in a chic black faux leather carrying case with magnet closure that doubles as a brush easel. Silk'n Titan Skin Tightening and Lifting ($269): The Silk'n Titan is an anti-aging device that works with harmonized energy technology to reduce wrinkles and lift facial contours. Designed to be used on all areas of the face and neck, this revolutionary technology repairs collagen and elastin fibers from the inside out. 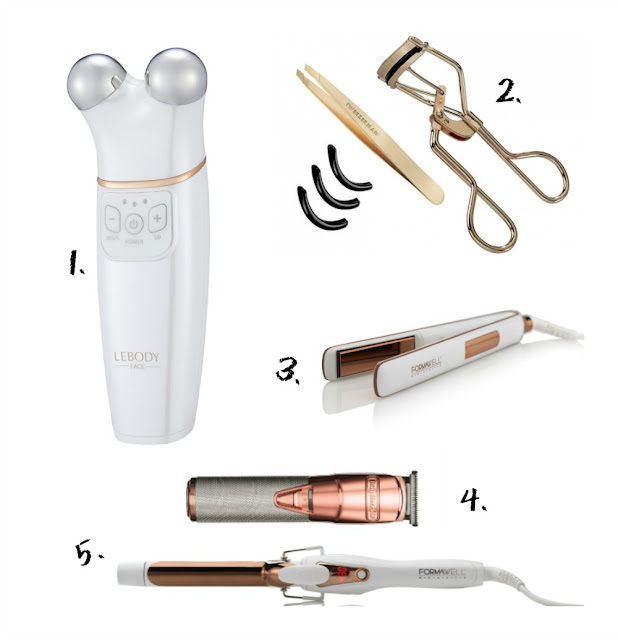 NUFACE Trinity + ELE Bundle ($429): This FDA-cleared, handheld facial toning device that is clinically tested for improved facial contour, skin tone, and wrinkle reduction along with the Trinity ELE attachment for the eye and lip area. Dear by Renée Gentle Face Scrub ($50): This rejuvenating gentle gel-based scrub sweeps away dead skin cells, refines surface texture and helps decongest skin. 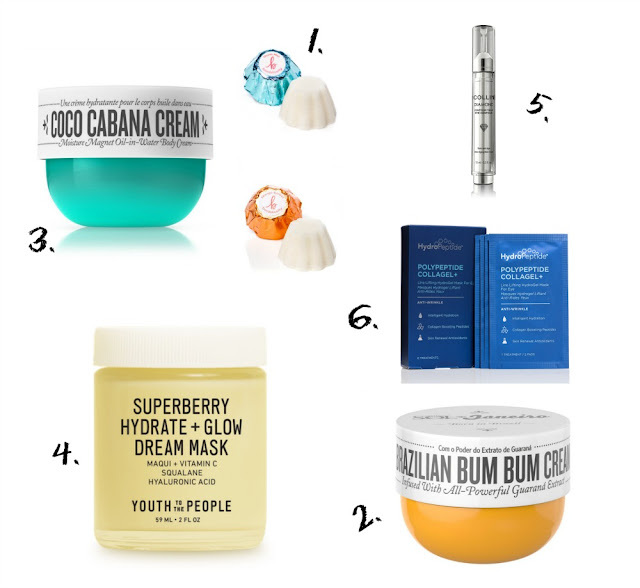 Skin will be smooth and glowing. Dear by Renée Youth Soothing Crème ($75): Infused with Hollywood celebrity favored Arnica Extract, Youth Soothing Crème contains several active components that hydrates and soothes dehydrated, itchy, or red skin. It is also a wonderful moisturizer for seasonal transitions. 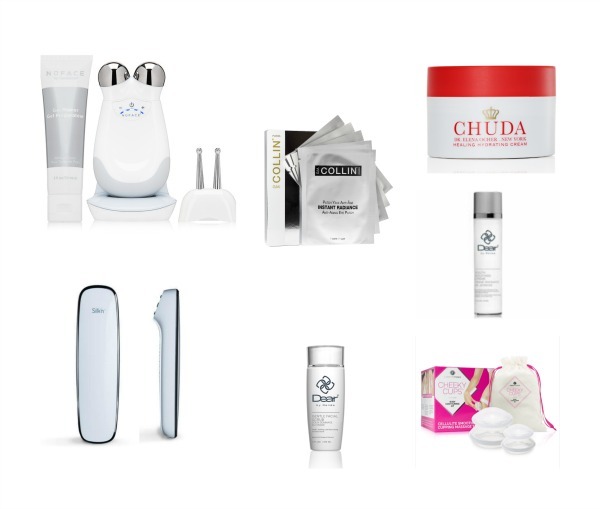 Chuda Healing Hydrating Cream ($150): In 40 minutes, Chuda’s Healing Hydrating Cream will repair, nourish and diminish fine lines and wrinkles on your skin. It’s a first-ever formula rooted in the centuries-old, skin-healing Remedea Compound and boosted by the most scientifically advanced, medical grade actives. For a quick lit from within glow, this Healing Hydrating Cream delivers. G.M. Collin Instant Radiance Anti-Aging Eye Patches ($50): deliver a quick relief from tired, stressed out eyes, providing a visibly younger and rejuvenated look. 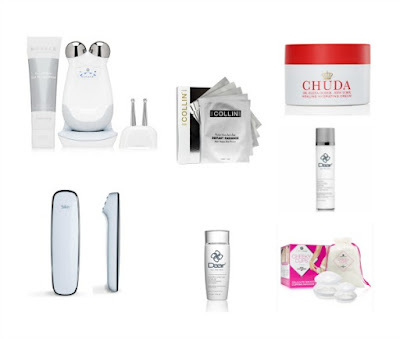 They work to immediately reduce the appearance of fine lines, wrinkles, puffiness and fatigue. Formulated with a luxurious touch of Pearl Powder and Rose Extract to reduce dark patches and improve elasticity while its hydrogel texture provides an instant feeling of cool comfort and revitalization. Cheeky Physique Cheeky Cups Body Contour Kit ($32): Say goodbye to cellulite with Cheeky Cups. This simple and convenient skin-toning system uses ancient cupping massage techniques to improve the look of cellulite and stretch marks. G.M. Collin Lip Plumping Complex ($33): Plump your pucker in minutes. G.M. Collin Lip Plumping Complex has a deliciously scented and light silky textured that offers healthy-looking, supple and visibly re-plumped lips, improving their global appearance. Marc Jacobs Beauty Eye-Conic Multi-Finish Eyeshadow Palette ($49 each): A long-wearing eyeshadow palette that features seven shades, including four fashion finishes, velvet, satin, silk, and lamé -- to layer and dress your eyes. Benefit Cosmetics Cheek Parade Bronzer & Blush Palette ($58): A limited-edition palette featuring five best-selling, full-sized bronzers & blushes. Stila Cosmetics Stay All Liquid Lipstick ($24): Offering up incredible staying power, lightweight feel and beautiful matte finish. We’re loving Bella, Beso or Rosa for Valentine's Day! 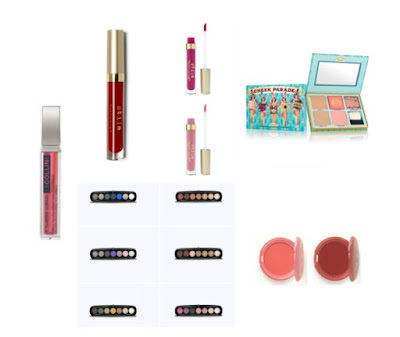 Stila Cosmetics Convertible Color Dual Lip & Cheek Cream ($25 - Red Hot Galentine’s Gift): We love any two-in-one makeup, especially if it comes from Stila! This creamy, luscious product if the perfect go-to, on-the-go makeup and will absolutely become a staple in your bag! Ineke Perfume Deluxe Sample Collection ($30 – Red Hot Galentine’s Gift): This collection includes a nice sized sample (1.5ml each) of all eight perfumes in The Alphabet Collection. This is an exquisite gift. With eight unique scents ranging from floral to woodsy. Prada Candy Valentine’s Day Gift Set ($122): The heart-adorned gift box is stocked with the classic Prada Candy EDP, Prada Candy Body lotion and a compact mirror for quick date-time touch ups on-the-go. Carolina Herrera Eau de Parfum Spray ($115): The ground-breaking bottle, the first in the form of a high heel, speaks as eloquently of the power of modern femininity and a woman’s dual nature as the fragrance itself. Made of sleek, smoky midnight blue glass, it stands on the tallest, thinnest gold heel.